The #1 New York Times bestselling author of A Man Called Ove and Beartown returns with an unforgettable novel “about people—about strength and tribal loyalty and what we unwittingly do when trying to show our boys how to be men” (Jojo Moyes). Have you ever seen a town fall? Ours did. Have you ever seen a town rise? Ours did that, too. A small community tucked deep in the forest, Beartown is home to tough, hardworking people who don’t expect life to be easy or fair. No matter how difficult times get, they’ve always been able to take pride in their local ice hockey team. So it’s a cruel blow when they hear that Beartown ice hockey might soon be disbanded. What makes it worse is the obvious satisfaction that all the former Beartown players, who now play for a rival team in the neighboring town of Hed, take in that fact. As the tension mounts between the two adversaries, a newcomer arrives who gives Beartown hockey a surprising new coach and a chance at a comeback. Soon a team starts to take shape around Amat, the fastest player you’ll ever see; Benji, the intense lone wolf; always dutiful and eager-to-please Bobo; and Vidar, a born-to-be-bad troublemaker. But bringing this team together proves to be a challenge as old bonds are broken, new ones are formed, and the town’s enmity with Hed grows more and more acute. As the big game approaches, the not-so-innocent pranks and incidents between the communities pile up and their mutual contempt intensifies. By the time the last goal is scored, a resident of Beartown will be dead, and the people of both towns will be forced to wonder if, after everything, the game they love can ever return to something as simple and innocent as a field of ice, two nets, and two teams. Us against you. Here is a declaration of love for all the big and small, bright and dark stories that give form and color to our communities. 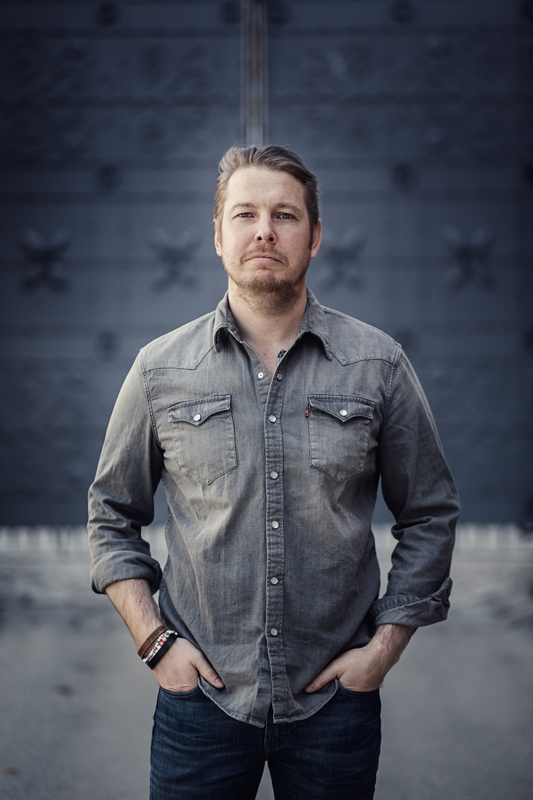 With immense compassion and insight, Fredrik Backman—“the Dickens of our age” (Green Valley News)—reveals how loyalty, friendship, and kindness can carry a town through its most challenging days. This reading group guide for Us Against You includes an introduction, discussion questions, and ideas for enhancing your book club. The suggested questions are intended to help your reading group find new and interesting angles and topics for your discussion. We hope that these ideas will enrich your conversation and increase your enjoyment of the book. A small community tucked deep in the forest, Beartown is home to tough, hardworking people who don’t expect life to be easy or fair. No matter how difficult times get, its residents have always been able to take pride in their local ice hockey team. So it’s a cruel blow when they hear that Beartown ice hockey might soon be disbanded. What makes it worse is the obvious satisfaction that all the former Beartown players, who now play for a rival team in the neighboring town of Hed, take in that fact. As the tension mounts between the two adversaries, a newcomer arrives, a surprising new coach who gives Beartown hockey a chance at a comeback. As the big game approaches, the not-so-innocent pranks and incidents between the communities pile up and their mutual contempt intensifies. By the time the last goal is scored the people of both towns will be forced to wonder if, after everything, the game they love can ever return to something as simple as a field of ice, two nets, and two teams. Us against you. 1. Backman describes the struggle between Beartown and Hed as one between the Bear and the Bull. What does this metaphor represent besides two fearsome animals fighting each other? What do these symbols say about the character of each town? 2. Early in the book, Maya and Ana retreat to a special place far from the rest of Beartown. Read Maya’s song, “The Island” on pp. 59–60. What do you think this little piece of land means to both of them? 3. Kira makes sacrifices so that Peter can be manager of Beartown hockey. Does Peter make sacrifices for his family, too? Discuss the way their relationship changes over the course of the book. 4. Peter tells Ann-Katrin: “I’m afraid the club might demand more from your sons than it can give back to them.” (page 155). Bobo, Benji, and Amat must take their place in the world of men when they join the A-team. How does this change force them to grow up? In what ways does it expose their immaturities? What are the different ways each boy tries to fit in with and be accepted by the older players? In the end, are Peter’s fears of what the club will demand of the players justified? 5. People from Hed burn a Beartown Jersey in their town square. This event doesn’t hurt anyone physically, but would you still consider it an act of violence? How does this small symbolic act become amplified and have the power to do so much relational damage? 6. What special challenges do Maya and Ana face as they near adulthood? Do you think two such different girls will be able to maintain their friendship as they head down separate paths? 7. “When we describe how the violence between these two towns started, most of us will no longer remember what came first” (page 46). What do you think the tipping point was? What do you think the novel says about human beings’ innate tendency toward violence? 8. A theme in Us Against You is tribalism versus community. Both dynamics are grounded in a sense of loyalty formed around a shared identity, but what makes them different? How can a strong community become insular and intolerant? 9. Two outsiders come to town, Elisabeth Zackell and Richard Theo. How does each person understand the culture in Beartown, and how do they use that understanding to their individual advantage? 10. “People’s reactions to leadership are always the same: if your decisions benefit me, you’re fair, and if the same decision harms me, you’re a tyrant.” (page 197). Are there any characters in Beartown who act against their own self-interest? What do you think are their reasons for doing so? 11. When Ana breaks Benji’s trust and reveals his secret, do you understand her action? Is what she does to Benji made more forgivable because of the circumstances? 12. Retaliation is a constant theme throughout the book. Are there any characters who try to break this cycle of violence? What do you think it takes for this pattern to be broken? 13. Richard Theo says to Peter: “They rule with the help of violence. A democracy can’t allow that. Anyone who becomes powerful because they’ve physically fought their way to the top needs to be opposed.” (page 271) Do you agree with Theo? Does Theo rule with the help of violence? 14. Sports has the power to divide and the power to unite. On balance, do you think Beartown would be better off with or without its hockey club? 15. “We will say ‘things like this are no one’s fault,’ but of course they are. Deep down we will know the truth. It’s plenty of people’s fault. Ours.” (page 293) Do you agree with this statement, or are their forces outside of the Beartown citizens’ control that are, in part, responsible for the violence? 1. Interview fanatical fans of any sport. Ask them why they feel such a strong connection to their team. See if you can match their motivations to a character in Us Against You. 2. Tom Hanks will be starring as the title character in in a film adaptation of Fredrik Backman’s novel A Man Called Ove. There are so many great characters in Beartown; who would you cast to play them in a movie? 3. Research a local or popular sports rivalry (e.g. the New York Yankees and Boston Red Socks; Los Angeles Lakers and Boston Celtics; Green Bay Packers and Chicago Bears; Detroit Red Wings and Chicago Blackhawks). How are their rivalries like the rivalry between Hed and Beartown? Are there off-the-field reasons that this rivalry is such an important one? 4. Pick a theme or scene from the book to draw inspiration from and write eight–sixteen lines of lyrics for a song that captures the emotions and tone of the scene. Look to Maya’s songs in the book for examples. 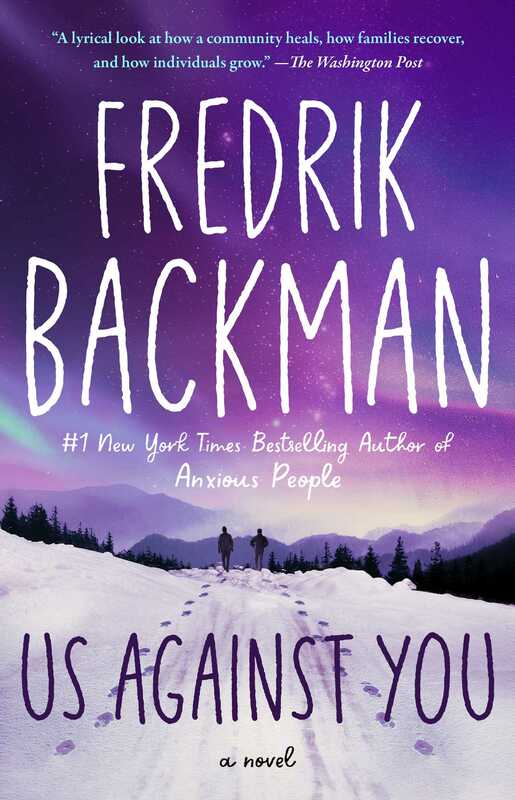 "[Backman] creates an astute emotional world much bigger than a small Swedish town...A novel you can sink into." "Deftly explores recovery and rebirth."